As of 9/1/2016, there are 36 stores in 18 states in Mexico. 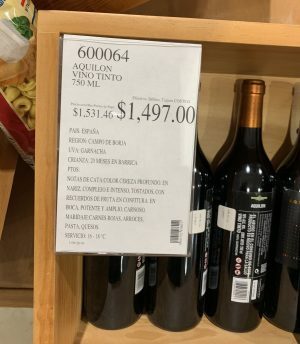 This price is in Pesos. This is $75 USD. Typically a $120+ wine.